The Women’s Estate Planning Council was created to promote interaction between women estate planning professionals educationally, professionally, and socially. Membership is open to attorneys, certified public accountants, accredited financial service professionals, and trust officers. Life experience may be considered on an individual basis. Persons who are not eligible to be members, but who are actively engaged in a field that is complementary to estate planning, may be eligible for Associate Membership upon approval by a majority of the board of directors. Examples of Associate Members include: unaccredited financial service professionals, planned giving professionals, elder care professionals, professional fiduciaries, and professional guardians. Further, active students pursuing a degree in a program for one of the qualifying membership fields may be eligible for an Associate Student Membership upon approval by a majority of the board of directors. Examples of Associate Student Membership include: individuals pursuing degrees or educational programs to become attorneys, certified public accountants, accredited financial service professionals, and trust officers. Annual Dues are $175.00 and are due in May of each year. First-time members joining at any time during the year pay $175.00 and their membership will be up for renewal again in May. To apply for membership, please complete the membership application form and submit payment of your membership dues as indicated below. The WEPC Board of Directors will review your application at the next WEPC Board meeting and will notify you promptly of its decision. If your application is not approved, your membership dues will be returned to you promptly. To pay via credit card on PayPal, please click on the appropriate payment button below. To pay via check, send check made payable to WEPC to: WEPC, P.O. Box 460666, Denver, CO, 80246. Please specify your name on the check if the check is in your company’s name. Annual dues of $175 are due in May of each year. 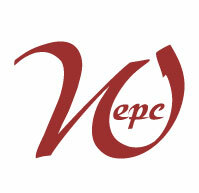 To renew your membership, either click the button below to pay your dues online or if you'd prefer to pay by check, send your check made payable to WEPC to: WEPC, P.O. Box 460666, Denver, CO, 80246. Please specify your name on the check. Please be sure to let us know when any of your contact or professional information has changed. Click here to complete the membership update form.